Bunk beds are a childhood classic. Parents everywhere use them to give children a comfortable sleeping space without having to buy a bigger home in which each child has a separate bedroom and big bed. 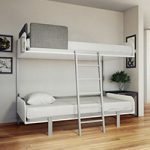 But bunk beds have come a long way from when we were kids and they were big, bulky wooden things or dangerous metal contraptions. Today’s bunk beds are just as stylish as they are practical. 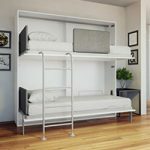 The technology has also advanced so that bunk beds don’t take up the same amount of space they used to. Sure, bunk beds would allow you to sleep two children in a room, but they also took up a lot of space in the process. 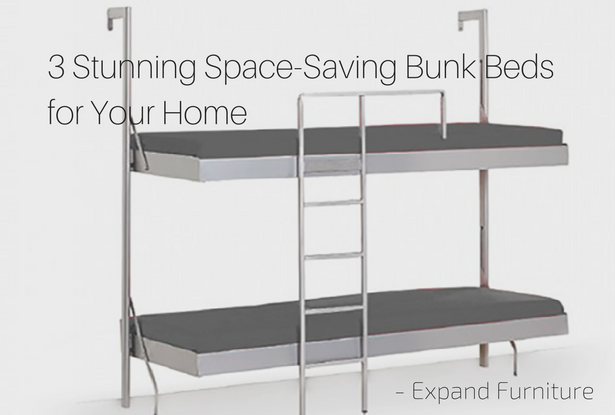 Hidden bunk beds, sofa bunk beds, and others now allow you to save space without sacrificing the benefits that bunk beds offer. We’ve all slept on a Vancouver sofa bed at one time or another. But sofa beds are usually contained to having one bed. Maybe it’s a bigger bed and can sleep two side-by-side, but have you ever seen a sofa bunk bed that stacks them one on top of the other? 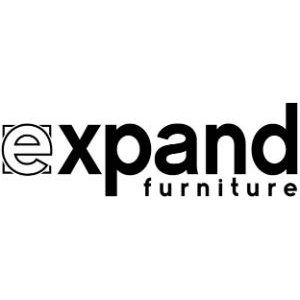 Expand Furniture sells just that. 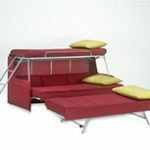 Our sofa bunk beds convert to two stylish twin beds. The sofa has a thick seat, and one bed raises up to become the top bunk and the other lifts up just slightly to become the bottom bunk. Some sofa bunk beds include a third bed as a separate cot. With a sofa bunk bed, you can conserve space in the room and sleep as many as three children at night. It’s a great way to maximize play space during the day or to accommodate guests when they are spending the night. Wall beds are a great choice for small spaces or for rooms that serve double duty, such as a home office that becomes a guest bedroom when people are in town. 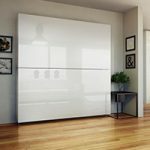 The mattress is on a platform that raises up and is tucked in a cabinet against the wall when not in use. You pull it down when you need it for sleeping. Hidden bunk beds are stowed the same way as wall beds. 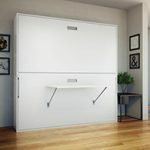 The first mattress pushes inside the deep cabinet, and there is room for the second mattress to be stowed away right next to it. The only space that the beds take up when not in use is a little more than a foot deep and a few feet wide. Once kids are in school, they need a space to study and to do their homework. They can go to the kitchen table, but that can interfere with dinner and other family time. Giving them a desk is the best solution, but an extra desk can take up a lot of valuable floor space in an already cramped kid’s space. Some wall bunk beds fold horizontally. This design allows the bottom bunk to have an attached desk. When you pull the bunk down, the desk swings down to hang under the mattress platform. You don’t even have to take books and other items off the desk when putting the mattress up or down. The design makes it easy to combine a study space and a sleeping space without taking up more room. You aren’t limited to bulky, dated wood bunk beds when outfitting your children’s rooms. 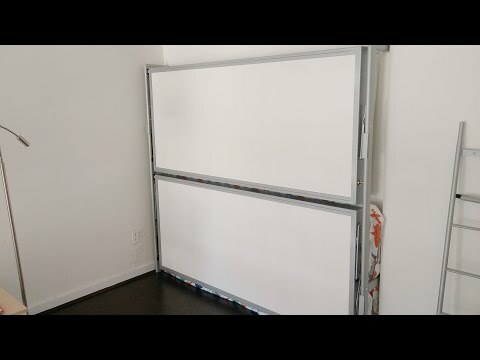 You can get units that combine things like dressers, shelves, couches, and desks, and you can use hidden bunk beds to keep the whole unit out of sight. 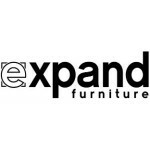 Explore Expand Furniture’s catalog to check out more of our bunk bud offerings or our other space saving wall beds and sofa beds. You’ll be able to make more space for doing the things you love without having to sacrifice a comfortable sleeping space. 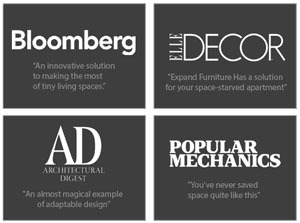 We also offer other stylish, space saving furniture such as transforming coffee-to-dining tables and modular wall shelving. It is our goal to help you maximize the use of your space while also making it look the way you want. 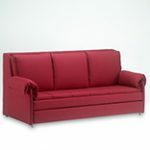 Our furniture is made of quality materials with the best craftsmanship for years of consistent performance. 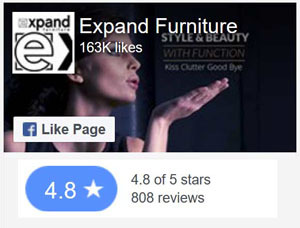 Contact us to learn more about our furniture.